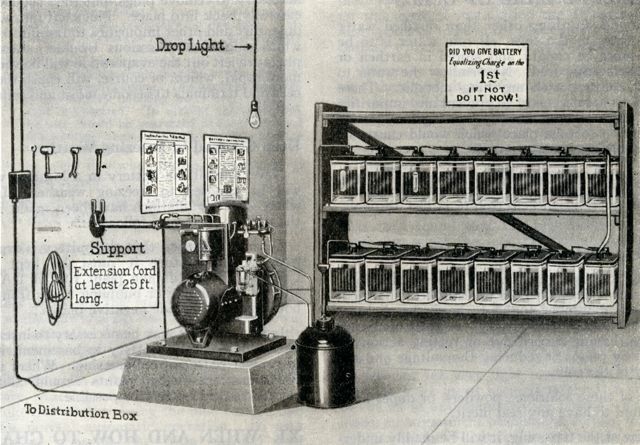 Early Delco-Light salesmen had to first sell the very concept of electric power to many farmers before talking about the Delco-Light system. 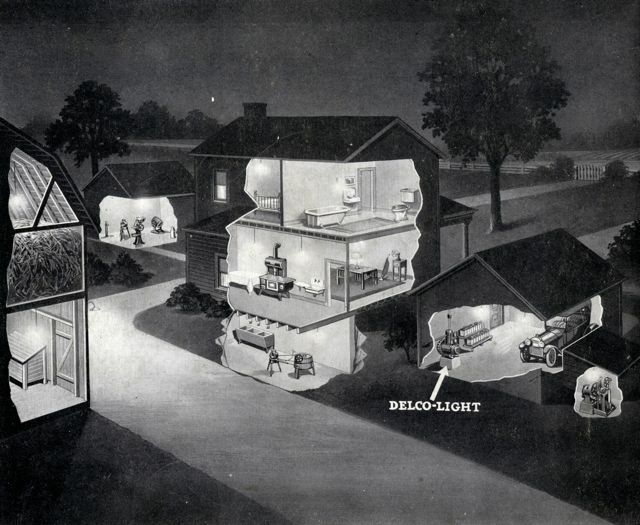 The phrase "Delco-Light Sells Best at Night" was a popular and successful motto for many salesmen who would install a temporary demonstrator system that would be ready for operation just after dusk. Electric lights would illuminate the home while the salesmen made a pot of coffee with an electric coffee pot. The salesman, who was all the time working on closing the deal, might even offer to help with evening chores where he could also conveniently point out the many possible applications and benefits of Delco-Light around the farm. High compression gasoline engines powered the first Delco-Light plants, however insurance regulations at the time prohibited having over one gallon of gasoline inside a home. In order to circumvent this issue light plants were simply ran on kerosene that was readily available on most farms. Running them on kerosene caused them to knock terribly leaving inventor Charles Kettering no choice but to reduce the compression thus reducing power. This posed a problem that Kettering was determined to solve. His research lead to the development of Ethel gasoline in 1923.